It’s always more fun to DIY. Every week, we’ll spare you a trip to the grocery store and show you how to make small batches of great foods at home. 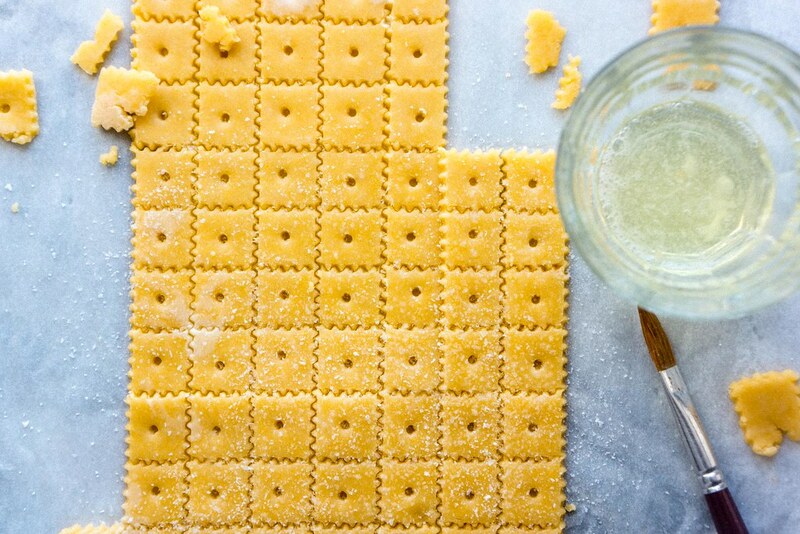 Today: Samantha Seneviratne from Love, Cake shows us how to make our favorite baked cheese crackers at home. It’s 8 PM and the kids just went to sleep. Not my kids (I’m only thirteen), but the kids I’m babysitting. And now I’m trying not to move a muscle or make a sound so that those kids stay put. It’s a serious struggle because the kitchen is basically calling to me. I’m practically all alone in a house full of of someone else’s junk food, and I can’t wait to launch my official raid of the snack cupboard, get a can of Fresca out of the fridge, and sit down in front of MTV. 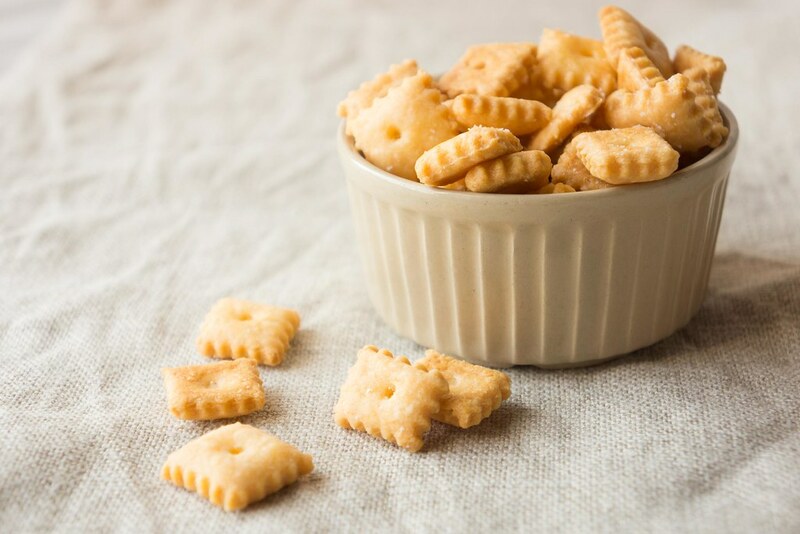 When I see a Cheez-It, I’m transported back to that time. The red package immediately has me calculating how many crackers I can stuff into my mouth without the box feeling too empty to put back in the pantry. Let me just suggest that you keep these homemade cuties — which are perhaps even more addictive than the originals — very well hidden; better yet, take them with you when you leave the kids at home with the babysitter. 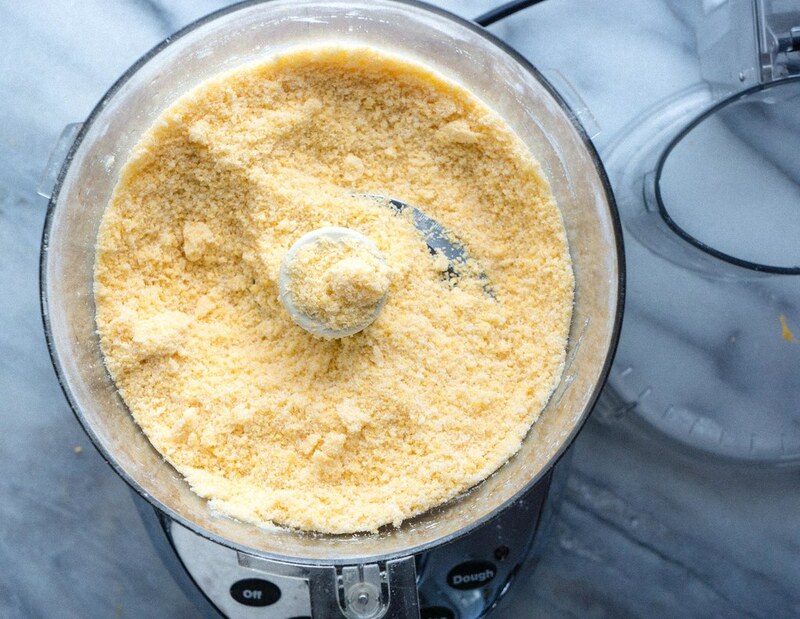 In the bowl of a food processor add the flour, baking powder, and salt and pulse to combine. Add the butter and cheese and pulse until very well combined. Add 2 tablespoons of ice water and pulse until the dough is just wet enough to come together when squeezed. Add up to 2 tablespoons more water if necessary. Divide the dough between two pieces of plastic wrap. 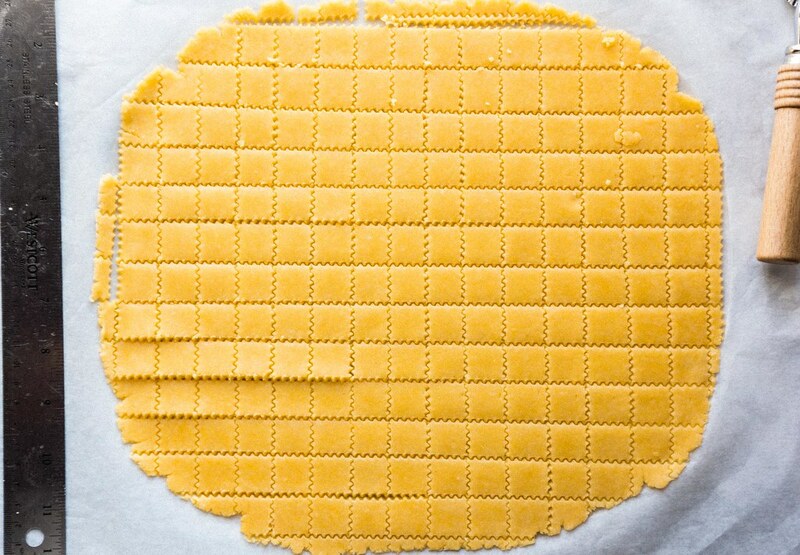 Press each half of dough into a flat square, wrap well, and chill for at least 30 minutes. 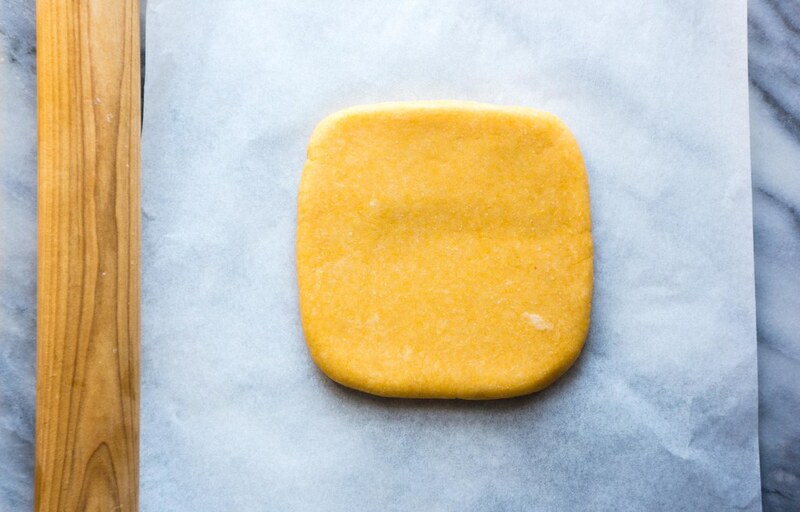 Working with one square at a time, roll the dough out to a scant 1/8-inch thick. 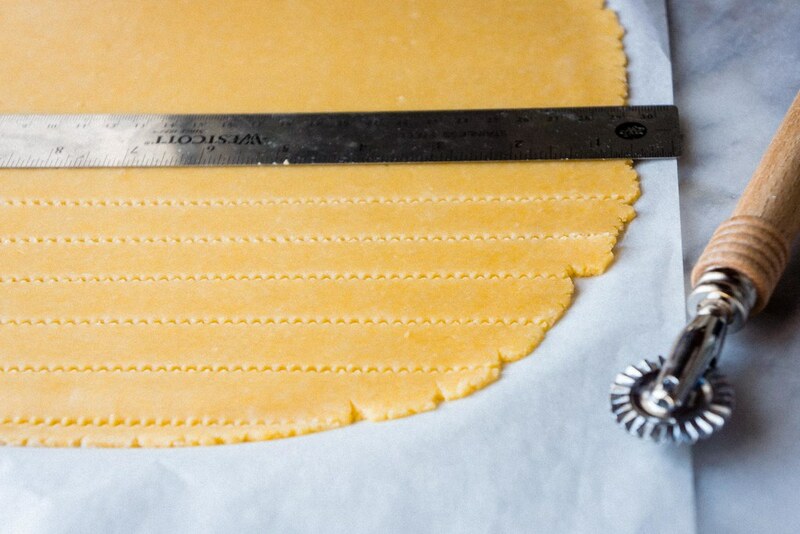 Using a fluted pastry wheel, cut the dough into 3/4-inch wide strips. 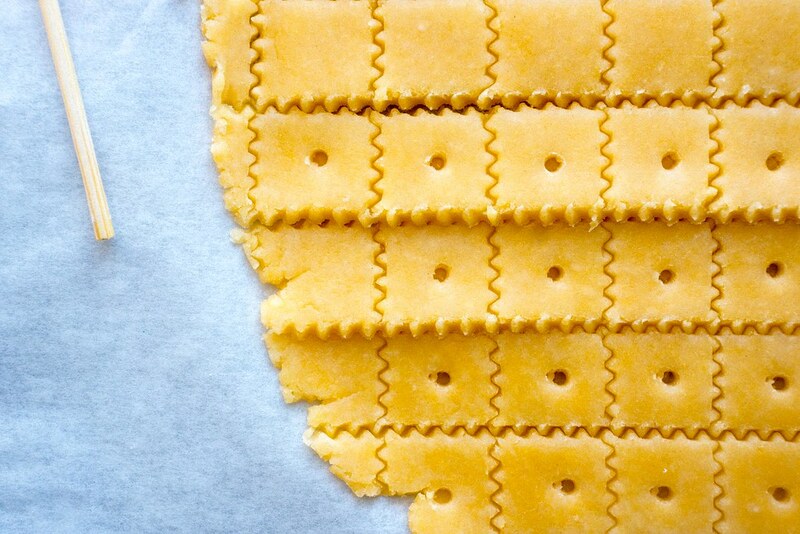 Then cut the dough in the other direction to make 3/4-inch squares. Use the flat end of a wooden skewer to poke a hole in the center of each square. 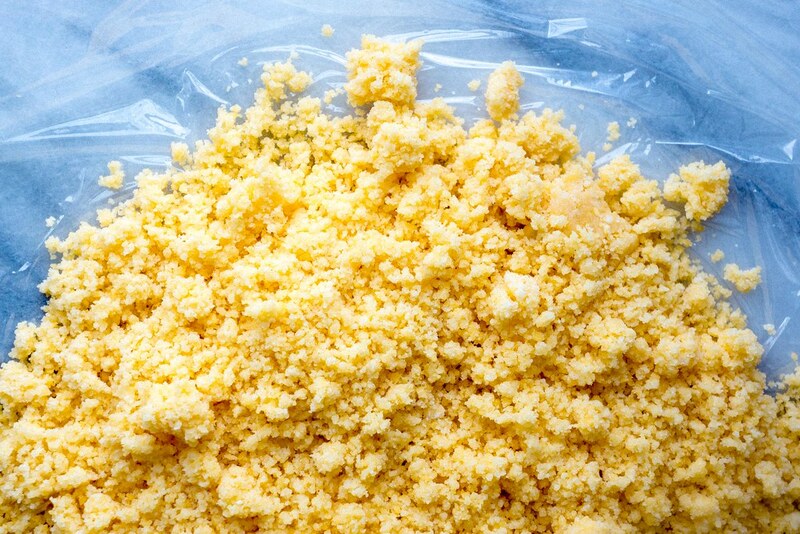 Freeze the dough until firm, 10 to 15 minutes. Roll and cut the remaining dough, then preheat the oven to 350° F.
Brush half of the dough with beaten egg white and sprinkle it with salt. 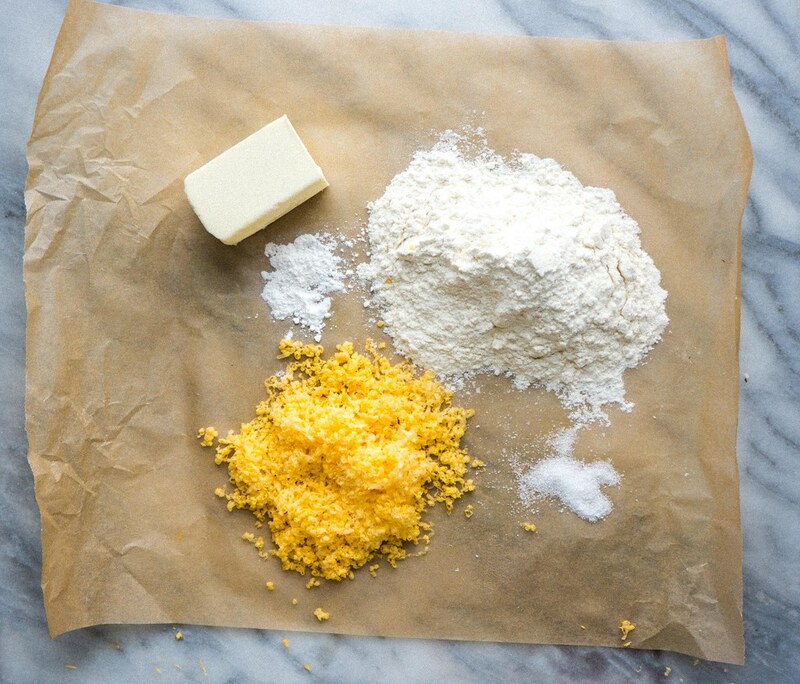 Use an offset spatula to gently break the egg-washed dough apart and place the squares on a parchment-lined baking sheet. 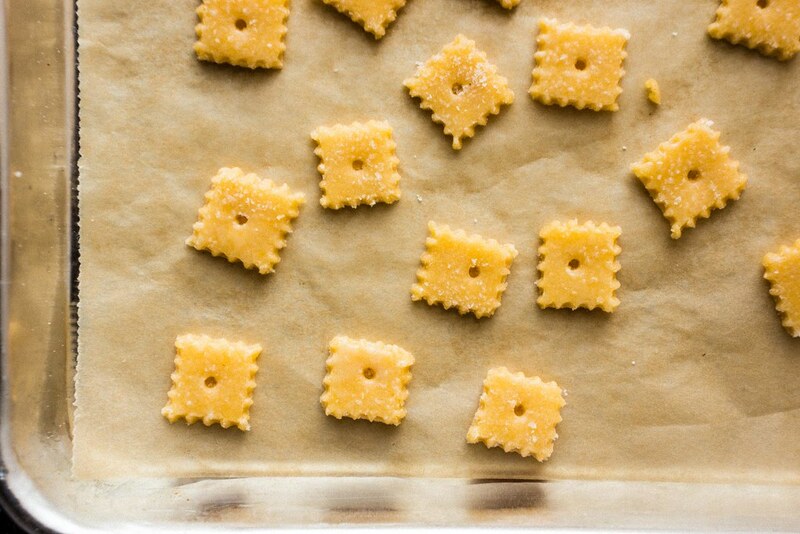 Transfer the parchment with the baked crackers onto a cooling rack. Repeat with the remaining frozen crackers. 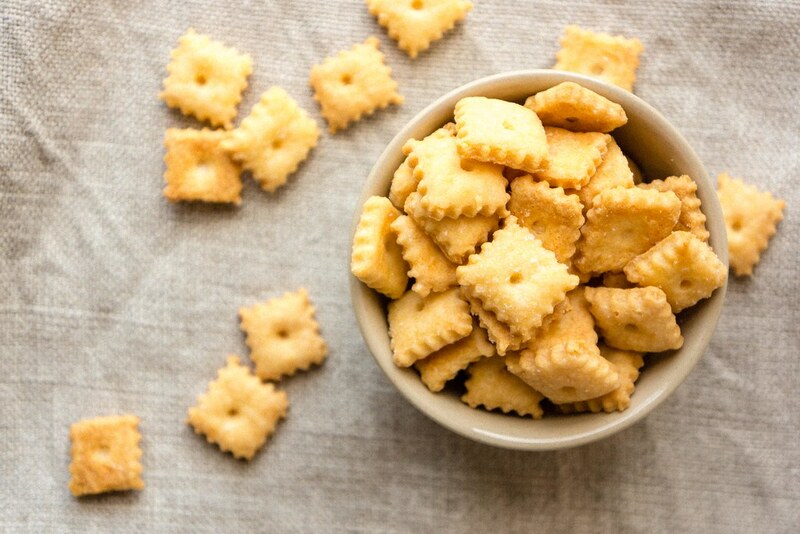 Store the cooled crackers in an airtight container.